"I like someone who's so opinionated, who's the opposite of politically correct. We need less political correctness in this country." COLORADO SPRINGS — At a rally for Donald Trump in Colorado Springs Saturday, the Republican presidential nominee told the crowd that he was "learning" to tone down his language. "I won't even use that word that starts with a D, you know" Trump said, referring to the word "damn." The crowd laughed. "I don't even like using the 'H word,' you know, the place that's down there," Trump continued, pointing down and presumably referring to Hell. "Because they'll say" — referring to the media — "I'm using 'foul language.' See? I've learned." At a rally in Miami Friday, however, Trump suggested that Hillary Clinton's Secret Service detail should "disarm" to show he what a US without guns might look like. “What do you think?” he said to cheers. Nichole Bretag said she agreed with Trump's statement. "If she's calling for gun control, but she's surrounded by security guards and has been for thirty years, it's a bit..." Bretag tailed off. "She wants to take all guns away." Clinton has proposed some restrictions on firearm sales, but does not advocate banning all guns. Nearly every other Trump supporter claimed they had no idea the candidate made the comment the night before. Anie Davis (left), 41, Russ Neilsen, 34, Sean, and Ruth, 45. Most supporters, though, said they did notice what Trump said is a new discipline — they believe he is speaking with a noticeably calmer tone, sticking almost entirely to his remarks, and generally avoiding controversial statements. Not everyone necessarily agrees with it, though. "People are 'gonna criticize him regardless so he might as well say what he wants," Russ Nielsen, 34, told BuzzFeed News. 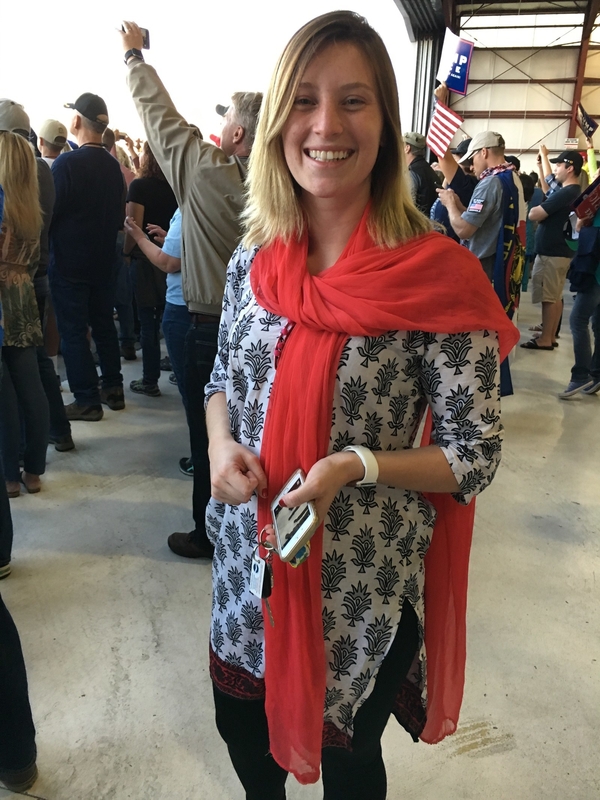 Nielson's friend, Anie Davis, said she will turn 42 years old a week before the polls open and she has "never voted in [her] life," but Trump was different. "I don't give a damn about what he says," Davis yelled, readjusting her pirate's hat reading "Deplorables" — a reference to Clinton referring to half of Trump's supporters as "deplorable" — "talk is cheap!" Sean and Ruth, who did not know Davis or Neilsen before the rally but stopped them to discuss their outfits, disagreed with the couple. "We knew he had to pivot, it's a smooth move," Sean, who declined to give his last name, told BuzzFeed News. Ruth agreed, adding that if Trump continued to shy away from "outlandish" statements, more people were likely to "give him a chance." Ruth and Sean both voted for Barack Obama, and Ruth said she even identified as a liberal. But the two are disappointed by the current president because of economic issues and Obamacare. "We're not mean people, we're not racists," Sean — whose shirt bore an image of Trump standing on a tank, gazing at an flying eagle shooting a gun while something explodes behind an American flag — told BuzzFeed News. "We would still support the Democrats if we could." Other supporters told BuzzFeed News they wouldn't want Trump to subdue his tone. "I definitely prefer Trump when he's saying all of those wild things," Brianna Perez, 21, told BuzzFeed News. "I like someone who's so opinionated, who's the opposite of politically correct. We need less political correctness in this country." Nicole Bretag, who was with her mother, Dorothy Bretag, agreed. "I like everything he says, he likes to say things that are accurate and true and honest, which the country is not used to," Nichole told BuzzFeed News. "I hope he keeps showing us that." Dorothy, 77, said she never voted in her life, but she planned to break that rule for Trump, mostly because of the "straightforward" statements Trump has made in the past. "Never in my life have I heard someone speak with such honesty," Dorothy said. "It's just different." Still, a number of supporters told BuzzFeed News that they thought Trump wasn't toning down the controversial statements nearly enough. "I wish he would stop talking about Hillary, stop saying all these things and just focus on the issues," said Jim, 63. 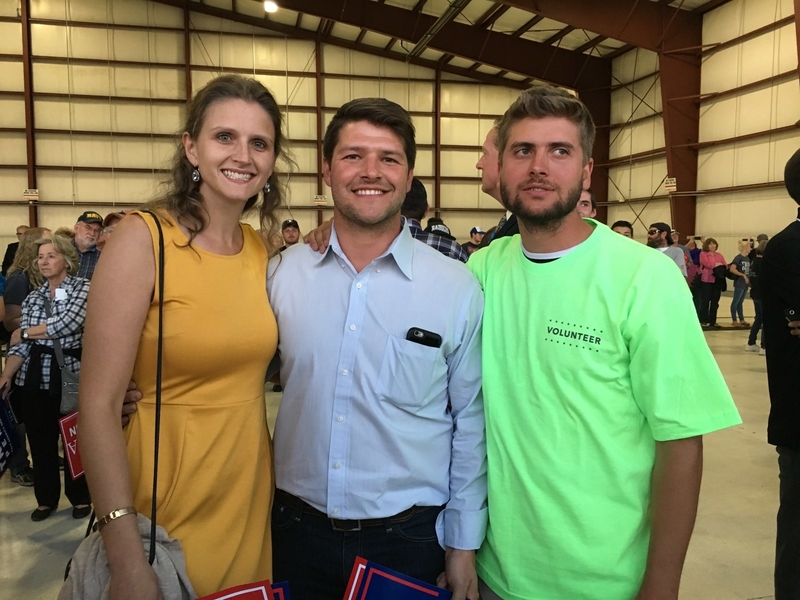 He declined to give his last name but said he was from Castle Rock and used to support Ben Carson for president. 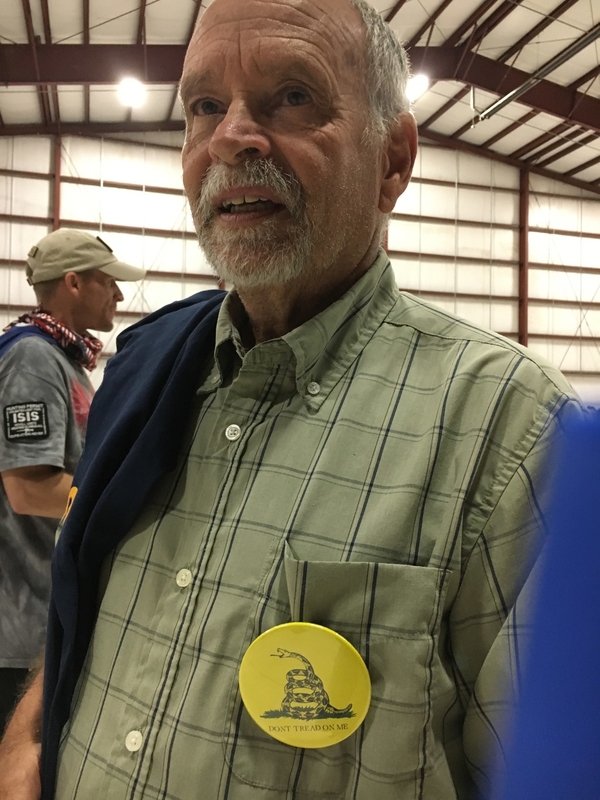 "I'm a Trump supporter now, lesser of two evils, but I want hear more specifics," Jim said. "But attacking people doesn't accomplish anything." 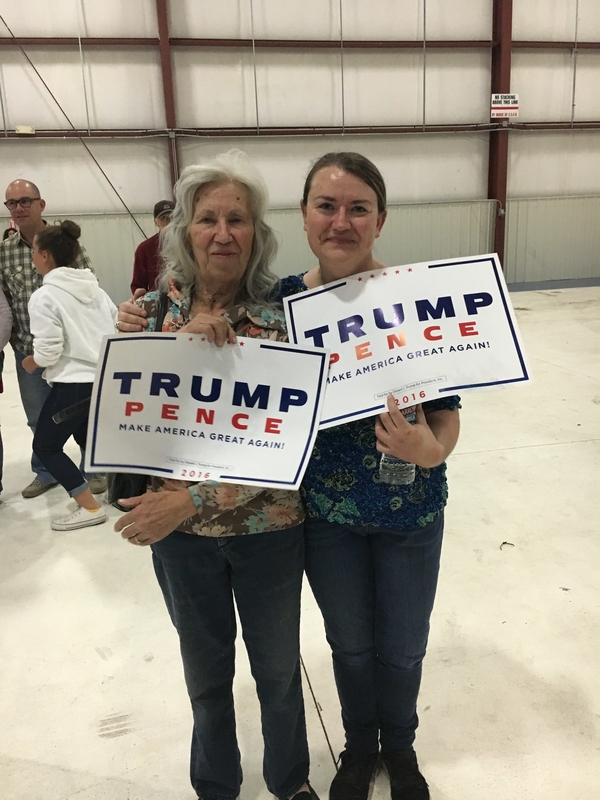 Tyler Etheridge, 27, and Danielle Ruberg, both Nazarene Bible College students, told BuzzFeed News that they didn't like many of the things Trump said, but it was their "duty as Christians to forgive." "There are times when even I myself may have said something racist, but I'm not a racist person," Etheridge told BuzzFeed News, adding that he and his friends spend more time "praying for" the presidential candidates than listening to them. "Someone has said something we don't agree with plenty of times, even in the Bible people have said the wrong things, but I, as a Christian, must forgive."